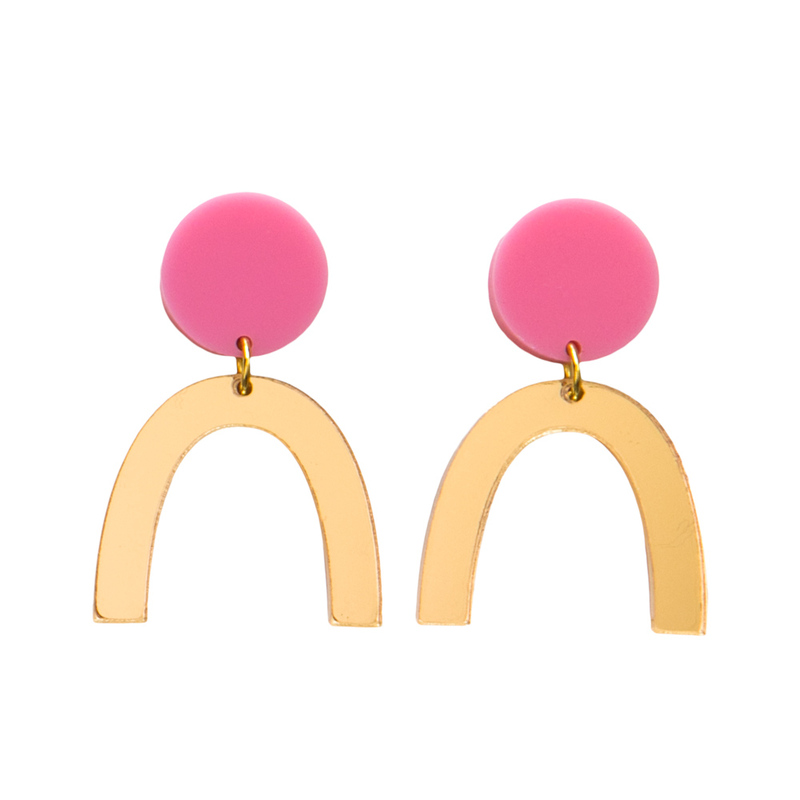 Pink acrylic discs are adorned with hanging mirrored gold horseshoe shaped rings making these earrings a fun accessory for every day. I love them, I always get compliments when I wear the earrings. I love that they are a bigger statement earring but are not heavy at all and VERY light. I just adore these earrings. I wear them with everything! Both the gold and pink pop and I get so many compliments whenever I wear them!